Following the release of Extremely Wicked, Shockingly Evil and Vile at the 2019 Sundance Film Festival, Netflix has reportedly purchased flick for $9 million. Netflix recently produced a four-part documentary about the infamous killer, “Conversations with a Killer: The Ted Bundy Tapes.” The docuseries was pretty well received among viewers, earning an IMDB score of 8/10. According to Movieweb, Netflix plans to release the movie in theaters this year to make it a qualifier for awards season. 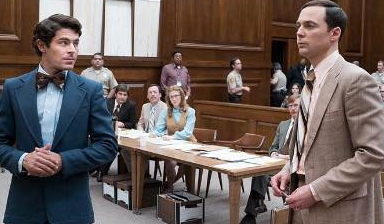 The film has a current approval rating of 61% from Rotten Tomatoes but the cast has received some very high compliments, namely Zac Efron as Ted Bundy. Efrons performance has been reviewed by many critics, some claiming it was not all that convincing, while others many dubbed it the best performance of his career. Variety reports that the deal was negotiated by CAA Media Finance and UTA on behalf of the filmmakers and international sales are being handled by Voltage. The arrival of Extremely Wicked, Shockingly Evil and Vile to Netflix is highly anticipated and a major deal for both the online streaming company as well as the films cast, crew, and production company.